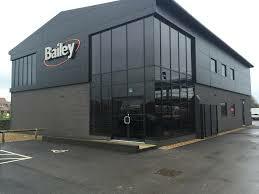 Allcool (NW) Ltd have been commissioned to supply and install a number of split type air conditioning equipment to the “new build” offices on Whitehills Industrial Estate in Blackpool on behalf of Bailey Group. After much consultation, it was agreed that the Mitsubishi Heavy Industry, Compact Cassette Units would be the unit of choice. These units have state of the art electronic modular electronic control units offering exceptional energy efficiency resulting in low operating costs. The units also incorporate reverse cycle heating which will also result in lower heating costs during the winter months. 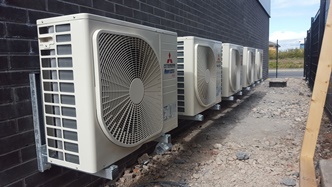 These split air conditioning units are to be installed on both the ground and first-floor areas of the building. 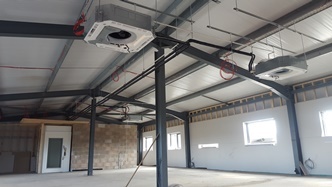 The low noise, compact indoor cassettes units will be suspended from the building structure using unistrut and threaded rod hanging mechanism and the outdoor units will be situated at ground level on suitable galvanised cantilever brackets.